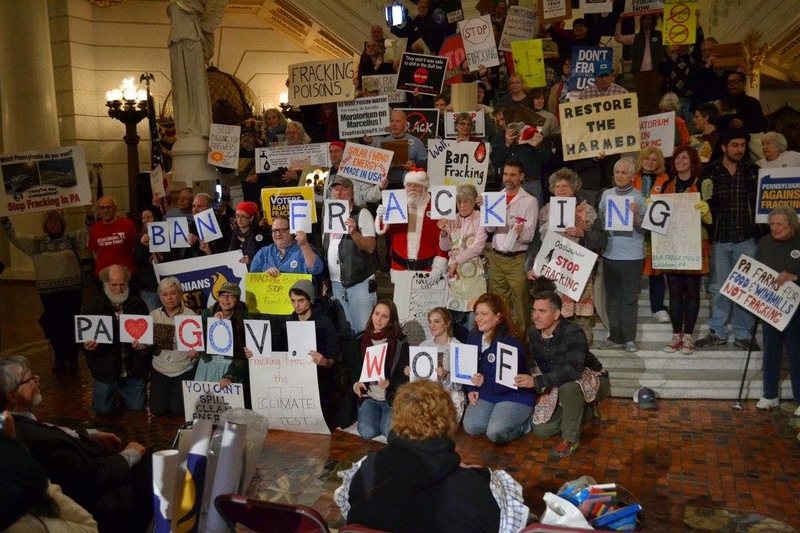 What's just tremendously sad and tragic about the 11.18.14 Pennsylvanian's Against Fracking fake Harrisburg rally is that it was never and could never have been about a moratorium on hydraulic fracturing or any of its affiliate dirty ventures. The fake greens who organized this--Pennsylvanians Pennsylvania Voters Against Fracking, Food and Water Watch, Pennsylvania, Berks Gas Truth, Clean Water Action - Susquehanna Office, know beyond a shadow of a doubt that Governor elect Wolf is not only not going to impose a moratorium, he is going to act for the interests of the companies to whom he is beholden for his re-election in 2018. Whatever extraction tax he imposed will institutionalize the industry in the tax base. And that could be the death sentence for any viable movement to end this nightmare of ecological destruction and the complete trampling of property and community rights i Pennsylvania. That these fake greens should act to manipulate the support of people who believe that they have the slightest interest in ending fracking is morally reprehensible--and it must be called out. It drains the life-blood from the most important civil rights movement in the nation--and it trades that momentum for a seat at the table of the party they helped to elect--Wolf's Democrats. Consider: Why on earth should Tom Wolf spend a minute listening to this call for a moratorium when he KNOWS that whether he grants any such thing or not, these folks will vote for him anyways? What a boon for the governor elect--he gets to have a great big cake and eat it too--the gas companies who help to fill his campaign coffers AND the vote of an electorate who cares only that he's not the other Tom. One of Wolf's campaign donors is W. Kirk Liddell, President and CEO of IREX Contracting Group (President's Letter | IREX CONTRACTING GROUP ). As reported by the Washington Times, Wolf serves on the IREX board of directors (Democrat Tom Wolf reports $2.2M in 2012 income - Washington Times). Among a host of other things, IREX "offers a wide range of passive fire protection and radiant heat shielding solutions for the oil & gas and petrochemical industries" through one of its subsidiaries, Advanced Energy Protection (Reflective Metal Insulation, Radiant Heat & Fire Protection Contractor | IREX CONTRACTING GROUP). Liddell made a personal donation of $12,000 to Wolf's run for governor, and another $5,000 to Tom Corbett (Campaign Contributions in the Race for Pa. Governor). On behalf of the NAM and the millions of men and women working in manufacturing in the United States, I wish to express my support for your efforts to reform the regulatory process and allow manufacturers in this country to do what they do best – make things and create jobs...The Environmental Protection Agency (EPA) has embarked on a decades- long process to implement the Clean Air Act and its amendments. There is no doubt that our nation has gained enormous benefits from efforts to improve air quality. But the continued ratcheting down of emission limits produces diminishing returns at far higher marginal costs. This means that each new air rule will have a greater impact on job creation than those in the past. Costs of pollution abatement are capital intensive. In a time of economic recovery where capital is extremely scarce, every dollar diverted from productive use creates additional pressure to reduce labor costs. When the prices of commodities and other manufacturing inputs are increasing, as they are today, even more pressure builds to squeeze labor costs. In this environment, it is clear that unnecessary or cost-ineffective regulation dampens economic growth and will continue to hold down job creation. For some firms, it will be the final straw that destroys the whole business... That is why it is so shocking that the EPA proposed making an enormously costly Bush Administration rule, the National Ambient Air Quality Standard (NAAQS) for Ozone, even more stringent and costly when a reconsideration was not required by law. One study by the Manufacturers Alliance/MAPI estimates that the most stringent ozone proposal being considered would result in the loss of 7.3 million jobs by 2020 and add $1 trillion in new regulatory costs per year between 2020 and 2030. Translation: Our profits are more important than your health, and even though ozone is specifically associated with, among other things, asthma, our rights as corporate ventures trump your right to breathe clean air. The testimony only gets worse from here, but what's patently clear is that Liddell is willing to do whatever it takes to insure that IREX--and iuts many affiliates--are subject to as little pesky environmental regulation as possible (http://democrats.energycommerce.house.gov/sites/default/files/image_uploads/Testimony_CMT_07.14.11_Liddell.pdf). Wolf sits on the board of a corporation, IREX, whose president W. Kirk Liddell, has worked tirelessly to kill the National Ambient Quality Standard (National Ambient Air Quality Standards (NAAQS) | Air and Radiation | US EPA). Wolf takes money, $12,000 in disclosed campaign contributions, from Liddell. Wolf has made repeatedly clear that he will not support a moratorium on unconventional gas drilling (http://www.timesleader.com/news/local-news-news/50569154/Tom-vs.-Tom:-Where-they-stand-on-the-issues). Wolf cannot support a severance tax--that will institutionalize the gas industry in the state's tax base and thereby increase pressure against regulation--and support a moratorium and insure additional campaign contributions from his frack-friendly friends, like Liddell. Wolf will thus support a weak-kneed severance tax that, with a wink and a nod to his frack-friends, will be more than compensated for through lack of enforcement in what's already laughably poor regulation via the Department of Environmental Protection (Pennsylvania Finally Reveals Fracking Has Contaminated Drinking Water Hundreds Of Times | ThinkProgress). He'll herald the tax revenue as a boon for education and other social programs--and his friends in the unions--including my own, APSCUF (APSCUF Endorses Tom Wolf For Governor) will turn a blind eye to the hypocrisy of a position that trades the necessary conditions of education--access to clean air and water--for the pretense to good policy. And we'll see more fake rallies that drain valuable time and energy from a movement whose focus on the future has been its clarion call--until now. The most disturbing thing about rallies like the fake Pennsylvanians Against Fracking event in Harrisburg is not merely that that they provide cover to a governor who is squarely in the pockets of the gas industry, but that they offer him the distinct luxury of getting to appear like he listens when he is in no way required to. They hold up signs. Wolf gets to feel loved. They go home and get to feel like they "did something." 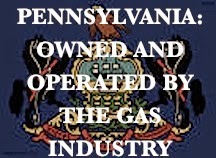 And indeed they did: by providing cover to the GAS-Wolf, Pennsylvanians Against Fracking may do more to help entrench the gas industry in Pennsylvania than the industry could ever have hoped in their expensive big glossy commercials. IREX should send PAF a thank you card. Take-away: PAF and its fake-greenie friends know what they're doing. They know they're providing cover to a governor who will do nothing to end the ongoing catastrophe called fracking and will, in fact, act in the industry of the frack pads, the pipelines, the compressor stations, the LNG export. that makes his friends money. What's worse is that PAF&Co. is willing to sell out you for that spot at the mic, that chance to look like a hero, that invite to the Wolf lunch line. This kind of mercenary exploitation of a tragedy must be called out because the only thing that can potentially do more damage to Pennsylvanians than a psychopathically profit-driven industry (say, IREX) is the betrayal by those who pretend to speak for us--but who speak only for their own aspirations to fame. Despite the fact that I won't be looking to solar panel the Lt. Gov's digs in Harrisburg any time soon, I have to say that the incredibly kind messages and comments I received yesterday in support of a Green Party platform was nothing short of a bright burst of sunshine on a politically bleak day. However much Corbett was a disaster for Pennsylvanians, for education, for social and economic justice, and for the environment--and he surely was--Tom Wolf portends nothing short of an even greater one. a) Tax the gas industry just enough to make a show of it. The gas thugs will feign distaste--but in fact they'll get everything they want and more. b) The "more" are the pipelines. As these have been the frontline in the struggle for clean air and water, so they shall remain, and the gas thugs know that whatever pittance they are forced to cough up in some sham of an extraction or a severance tax, they'll make up for that handsomely once the gas is flowing through high pressure arteries to the LNG export depots. c) We can count on Wolf to talk--for a minute or so--about "tight regulation." but this will quickly be eclipsed by his work to restore funding to all the agencies and programs that will require that regulation to be effectively nullified. We need to be very clear about this: regulation will reduce the number of dollars Wolf can skim from the gas thugs via his sham tax. Therefore, the pressure to regulate less--and produce more gas to pump through these pipelines-- will be enormous. We will see a pretense to regulation, a smattering bit of hang-wringing to make it look like he cares. But with his other hand, Governor Wolf will be shaking the oil-stained fingers of the gas thugs who will pad his re-election coffers for 2018. 2. Even more menacing are the Fake Greenie organizations--PennFuture, Food and Water Watch, Berks Gas Truth, Pennsylvania Voters Against Fracking, Pennsylvanians Against Fracking, The Responsible Drilling Alliance, COGENT, Save the Loyalsock Coalition, who--in the interest of insuring their own seats at the table of a Wolf administration--will work tirelessly to reassure us that the governor is not in the back pockets of the gas industry. They're already trying--some seem to really believe that they can move Mr. Wolf to a moratorium. But this is willful blindness of the worst sort--and while it might lure some folks into the complacency of believing that everything's gonna be alright, it is precisely that complacency that we cannot afford. "Cindy Dunn of the environmental group PennFuture says her group plans to hold Wolf to his promise. “When Wolf is sworn in as governor, he will swear to uphold the state constitution, which includes the environmental rights amendment,” said Dunn. “And this is something that I think he will pay attention to.” Dunn’s group supports the 5 percent severance tax, because she says it will raise more money and benefit all Pennsylvanians" (http://stateimpact.npr.org/pennsylvania/2014/11/04/what-wolfs-win-means-for-energy-and-the-environment/). But if you're not prepared to be fracked and pipelined into ecological oblivion, be prepared to fight. Dunn's inane comments are a a variety of trying to have your cake and it it too--except that it's not even that since PennFuture knows beyond a shadow of a doubt that Wolf will not advocate for a state moratorium on drilling, is concerned not one iota with the environmental rights amendment beyond its value as a tool for getting re-elected, and will not act in any fashion that will endanger that prospect. Moreover, there will be virtually no pressure on him to press for a moratorium since he knows that these fake greenies will vote for him anyways. 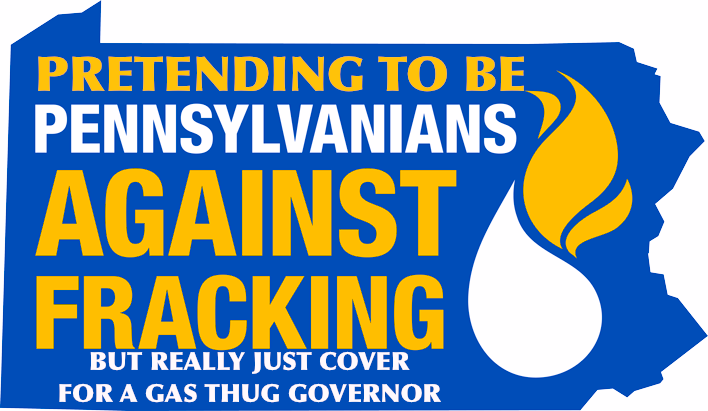 We will see a pretense to "holding Governor Wolf's feet to the fire." But behind this will be standing to one side the gas companies and to the other the fake greens who cannot be described in any other way--at least honestly--than as effectively colluding with the gas. I say "colluding" because they cannot NOT know better. Nonetheless, they'll also continue to be willing to stand by silently while those of us who have stood on principle instead of political expediency are surveilled, arrested, and demonized as much by them as by the gas thugs. Governor Elect Tom Wolf does offer us a celebratory cake--but its layers are saturated with drilling waste, its frosting tinged with benzene. So when its celebrants offer you a piece, say "no thanks." Then tell them that you value you health, your property, your neighbors, your community, and your climate too much to eat from a banquet laid out in iniquity. Then ask them why they sold you out. 1. This is simple, folks: We either decide to fight. Or we decide to concede. But a vote for either Tom Wolf or another round of Tom Corbett amounts to precisely the same. Mr. Wolf will embrace everything fracking. He already has. And even the thinnest most paltry pretense at a tax will not only entrench the industry even more deeply in the state's economy, it will guarantee even less regulation. Why? Less regulation will mean more gas production, and when you've banked your candidacy on restoring funding for public education, you're going to make sure you get some of those cents. 2. What we must get here: Mr.Wolf is already thinking about his re-election to a second term. That will require he make modestly good on his first term, and that is going to be all about the gas. Therefore, he is going to be entirely willing to sacrifice you. 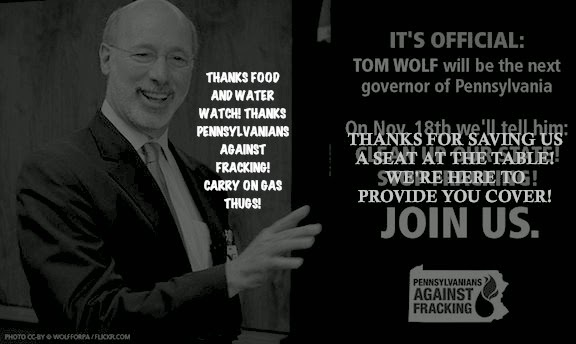 Make no mistake about it: a vote for Wolf is a vote for the Gas Thugs. 3. At least Corbett is a clear target, a clear enemy, and therefore highly useful as a point of departure for the resistance. This is not an argument for voting for Corbett. The point is to make clear that Mr. Wolf is a wolf in sheep's clothing--the guy who naively believes all the hype about safe regulated gas production. There is no such thing--but the one that's that's worse that the gas infrastructure itself is being willfully ignorant about the hype. 4. Some claim that a "new broom sweeps clean": that is simply absurd. That Wolf will appoint a "new" cabinet means nothing more that he'll bring in his likely to be corrupted pals instead of Corbett's. But the notion that these folks will somehow be less beholden to the gas companies is highly unlikely. Why? Because Wolf is so beholden. The reason the gas industry has poured at least $273,000--just since June is because they want to make sure their influence on decision-making is uninterrupted. 5. Here are the facts: It doesn't matter for squat how many PR battles the industry loses so long as they can keep pumping out the gas. Whether a Wolf or a Corbett administration is irrelevant. We would be far better served turning our attention away from what are entirely deceptive party politics, and turning it squarely toward our communities and townships to draft ordinances that proactively promote and protect the rights of the communities and their members. Will these communities be sued by the gas companies? Very possibly. Is that worse than the concession a vote for Wolf exemplifies? Absolutely not. And there is no bad PR for these companies that could be worse than a movement across the country that seeks to establish those fundamental human and community rights. It's time to think bigger. 1. A tax on natural gas extraction via fracking will institutionalize the industry by making social programs dependent on its revenue stream. However much the industry resists it, they know that any tax will have this positive effect for them--and so their resistance is feigned and simply aimed at the lowest tax possible. The amount of the tax has no real bearing on the extent to which it institutionalizes the industry as part of the state's internal revenue structure. 2. Wolf is the best thing that could happen to the gas industry--far better than Corbett--because while the duped are celebrating Wolf's imposing a tax, the industry will go about their dirty business as usual--but with the added bonus that they now have the cover of legitimacy behind a painless tax that will guarantee their presence in the state forever--or until they leave us a spent industrialized wasteland. Corbett could never have lent them this cover. 3. Taxing the industry will actively encourage even less regulation. The formula is simple" Imposing a tax=insuring dependence of social programs=pressure to generate more revenue=pressure for the industry to make more money=weakening regulations. In other words, the more dependence, the more pressure to generate greater tax revenues, and because the tax as a percentage of profit is never going to amount to anything substantial, the thing that's going to have to give is the regulations and their enforcement. When you add to this the fact that--as this article demonstrates once again--the regulations are meaningless and unenforceable now, just imagine what that will mean given the institutionalization of the industry. Welcome to Texas. 4. Once the industry is institutionalized in the state's tax structure, they will be able to exert pressure like never before. They will be in a position to level substantive threats of withdrawal and whoever is governor will cave to the threat precisely because essential social programs--and (thanks to Wolf) funding for education will now be tied to gas tax revenue. The regulations will then be enforced even less, more and more Democrats will jump on board for horrendous bills like the gutting of the state's endangered species act--and representative like yourself will have paved the way for the future industrialization of the state including the further erosion of property rights, rights to clean air and water, rights to speak out against the industry. In short, an invitation to become part of the state's essential economic wherewithal in an invitation to corporate hegemony. 5. (1)-(4) can have only one conclusion: more fracking including all of its dirty and damaging infrastructure. Of all the issues confronting Pennsylvanians—health care, education, jobs, etc.—among the most important of these are the devastating ecological and human rights toll the fossil fuel extraction industry has taken on the Commonwealth, her neighboring states, and the planet as a whole in the form of its potentially devastating contribution to climate change. There are many reasons why an articulate and uncompromising opposition to hydraulic fracturing, mountain top removal, tar sands extraction, other forms of unconventional gas drilling, the Keystone Pipeline, the construction of LNG export depots, is critical to the Pennsylvania gubernatorial campaign. 2.The fossil fuel industry’s profit objectives are demonstrably inconsistent with the commitment to health care, education, and jobs. a. Health care: given the hazardous health effects that follow from exposure to the carcinogens, biocides, and other toxins associated with the fracking process; given that a similar account can be given for exposure to toxins resultant from compressor station emissions; given the potential for explosions at every juncture of this process—frack pad, pipeline, truck accident, compressor; and lastly, given that these hazards make particularly vulnerable populations already marginalized by the state’s inadequate health care access, no case can be made in defense of the industry’s conversion of Pennsylvania into what amounts to an extraction factory for wealthy multinationals. b. Education: in addition to the obvious hazards of locating extraction-associated facilities next to public schools, the effort of the Corbett administration to extort state universities into accepting extraction operations on their campuses is in obvious conflict with the missions of those public institutions, and inconsistent with the commitment to the health and welfare of their communities. APSCUF—the Associated Pennsylvania State College and University Faculty union—opposes any such construction, and I had the privilege of drafting that resolution for all 14 campuses. c. Jobs: as is made clear on the numbers, the shale boom has not generated lasting employment for Pennsylvanians. Instead, it has diminished the potential for future employment in industries connected to our once spectacular forests, rivers, and high value streams, exposed mostly non-unionized workers to toxic health hazards, and exported profits from frack pad to off-shore bank accounts of already obscenely wealthy CEOs. That a very few may become very wealthy via royalties or other associated enterprise at the expense of the very many is intolerable to a democratic union and a prescription for future disaster. 3. States are no more closed loop systems than are human bodies or frack pads. In a world increasingly confronted by the effects of global climate change, deforestation, desertification, and toxic pollution, governors and legislators must act responsibly not merely to their own constituents—much less to their campaign donors—but to the stability of the global ecology as a whole. We can no longer afford to bury our heads in the sand about the impacts of an industry whose history so clearly shows that its mercenary drive to profit exceeds at every turn its commitment to human welfare or ecological stability. 4. States do not have the right to deploy their police forces to quash dissent—yet, our current administration not only acts legislatively to insure the smooth path to profit, but deploys its police resources against the people in an effort to suppress, fear-monger, manipulate, and intimidate those who expose this path as littered with toxins, political corruptions, and egregious forms of harm. Look for example to Adam Federman's recent account of the Marcellus Shale Operator's Crime Committee. Extreme forms of fossil fuel extraction must be banned not only because the citizens of the Commonwealth cannot afford the consequences, but because no regulation can adequately prevent the harm. No matter what some argue are “best practices,” none keep the gas in the ground—the only strategy that will prevent the contribution of fossil fuel extraction to climate change. Pennsylvania’s governor must act not only in the interest of all Pennsylvanians—but for the future of Pennsylvania. What this means is that she or he must take seriously the adage that the local is the global—for this is no mere hyperbole; it is fact. And as such, it is moral duty.